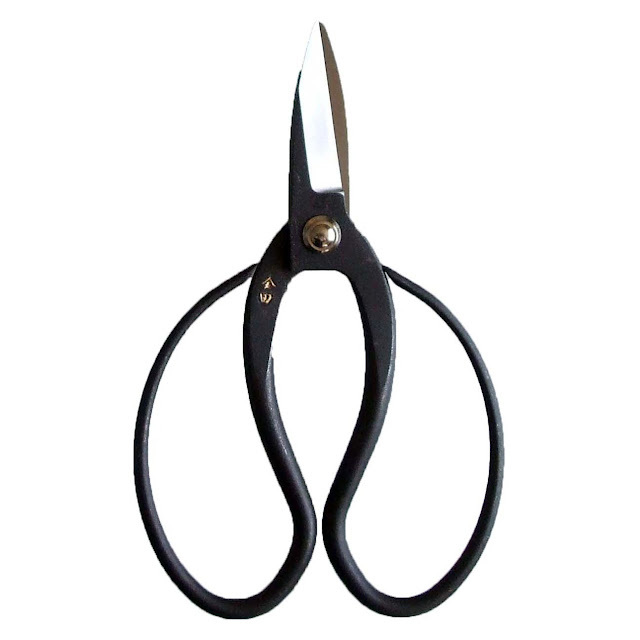 Our Japanese professional Bonsaic Scissors by Nihonbashi Kiya is also known as the "Butterfly Scissors" because of its beautiful butterfly-shaped handles. This stunning icon of Japanese design blends form with function in an exceptionally beautiful way. We are proud to present this traditional Japanese garden scissors made exactly the same way as they have been for the last (almost) 300 years. 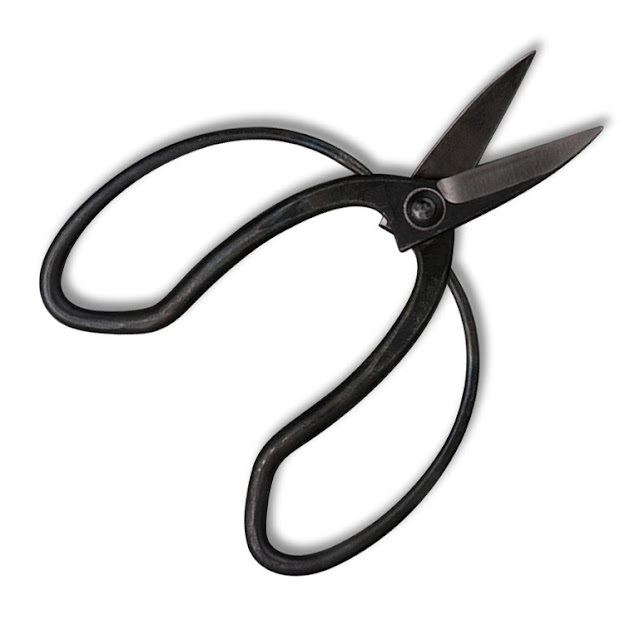 By 1792, when the first Nihonbashi Kiya scissors were forged, sword-makers on the Japanese island of Tanegashima had been crafting precious 'jewel steel' into superlative blades for four hundred years and more. The tradition continues today - Ikenami Hamono's edge-tools are renowned for their beauty, utility and craftsmanship and continue to be forged by hand in Japan. 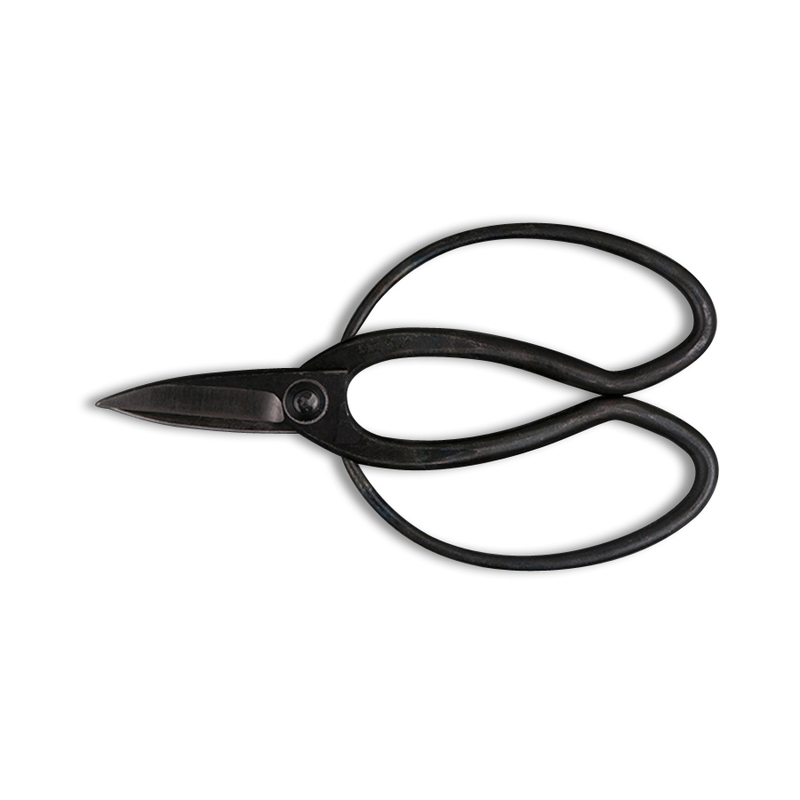 Our traditional Okubo garden scissors not only look and feel perfect; they also provide a cutting sense you won't have experienced before. The contrast between factory-fabricated stainless steel and a hand-forged blade in hardened high-carbon steel really is quite something. 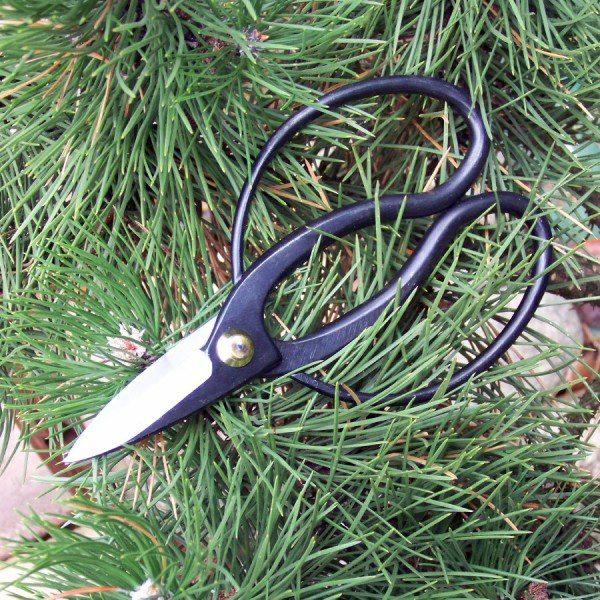 Delicate in design and high in quality, these narrow, sharp blades are strong enough to slice through small twigs and all types of flowers stems. The large grip butterfly-shaped handle accommodates gloved hands. Forged by master artisans in Japan.